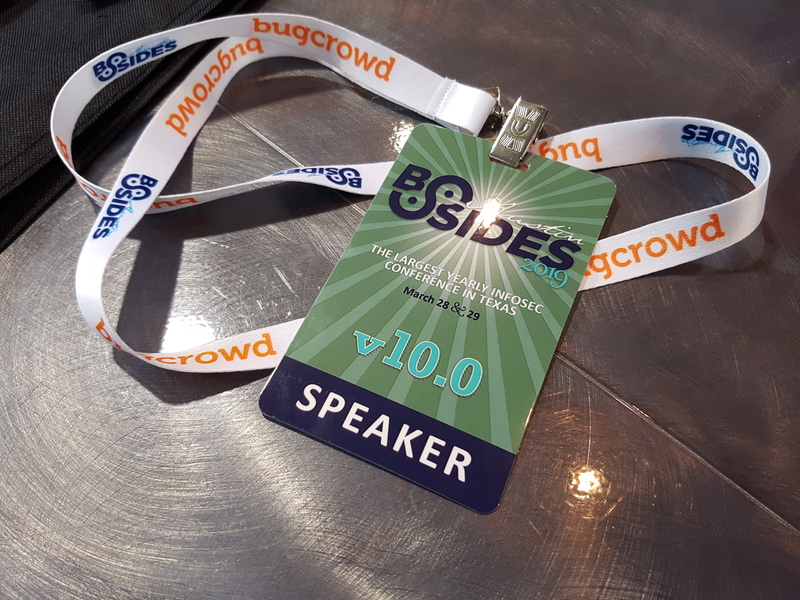 I was recently given the opportunity to go to the USA and speak at the BSides Austin 2019 conference about defeating facial detection/recognition systems. I was due to fly out on Tuesday and talk on the Thursday, giving me one day to get on the time zone. As is sod’s law, I managed to contract bronchitis in advance of this trip. I spent the weekend attempting to cough up my lungs, with my attempts bringing me a reasonable amount of pain. Flying out on the Tuesday was pretty awful and I spent most of the flight attempting to ingest sufficient paracetamol to no longer be able to feel my face. Frankly, I felt like hell- and I’m sure the people sat either side of me didn’t feel great about it either. Wednesday was spent desperately trying to relax, whilst getting insufficient sleep. Plans for sight-seeing in Austin were scuppered. I’d stayed up until 11pm local time, and yet my brain still woke me up at around 9am British time (4am local time). I briefly left the hotel to get food, and that was it. I spent most of the day laying on my bed awaiting death, with a 20 minute attempt to sit next to the pool earning me sunburnt shoulders. A friend who was staying at the same hotel for the conference hung out with me a bit and somehow managed to not catch my plague, which I’m pretty thankful for. Another night of not much sleep later, it was time to head to the conference. I met up with colleagues from my employer’s US office, and went to a few talks. Thankfully by the time for my talk rolled around, I was feeling slightly better. I could talk reasonably clearly, and stand up without feeling like I was going to pass out. Sneeze frequency was reduced, I no longer felt like a mobile snot machine. 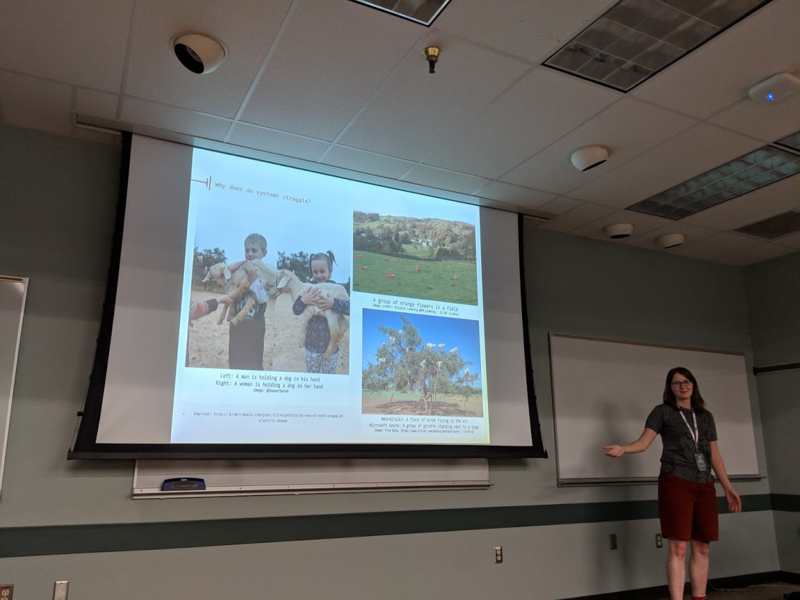 I was able to do my talk, and it went pretty well! I had to pause to sip water frequently throughout the talk, but other than that I managed to get through it. Quite a lot of people attended my talk, which I was surprised by- I also had numerous people approach me after the talk saying that they had found it very interesting/really enjoyed it! This was my first time speaking at a conference, and I’m really happy that people enjoyed it. A colleague at my prior job started a Toastmasters International branch a couple of years ago, and had convinced me to give it a try. I’m glad she did, because it got me to a point where I’m fairly comfortable standing at the front of a room and talking to a crowd! I’m hoping that I’ll be able to talk at more conferences in the future. I’m scheduled to give a repeat of this at DC4420 in May, which will be good to do! Here’s to hoping I manage to avoid getting ill this time.